Today’s local (ish) Cyber Monday pick is Rabin’s Relics, two fine folks who make cool gothic and steampunk jewelry and costume pieces right here in The Mountain State. .
You may have seen the work of Rabin’s Relics for sale at local conventions, like ShockaCon and The Mountain State Pop Expo, but you can also peruse and order the fine merchandise online. 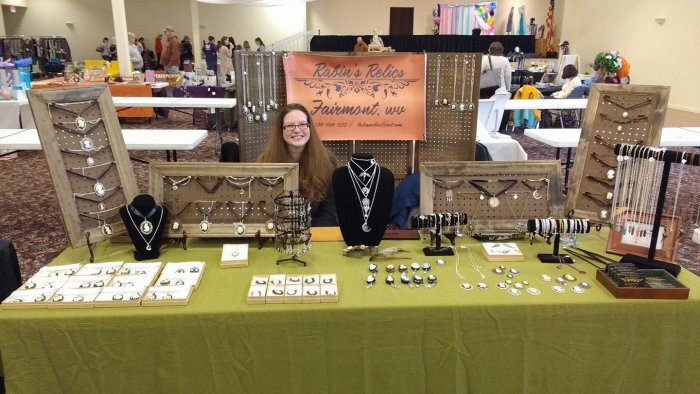 They make some really cool costume jewelry, accessories and props, and they are based out of Fairmont. You can “like” their Facebook page to keep up with their newest offerings and find out what shows they’ll be attending. You can also find contact info there. 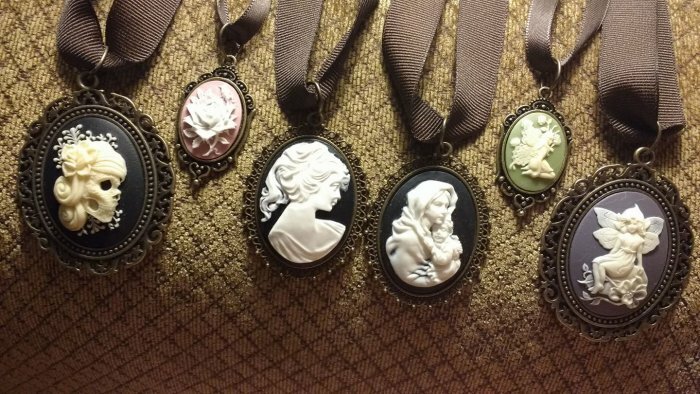 You can also visit their etsy store, where you will find an assortment of their cool cameo jewelry, all pieces for fifteen dollars or less, each. This is some really nice, intricate jewelry. Mel likes their crosses, plus they also refurbish and improve vintage hats and other items, and make new leather goods in addition to their pendants and necklaces. There’s a timeless quality to their hand-crafted goods that really makes them stand out. Perusing their shop and Facebook page will give you loads of great gift ideas for the person on your shopping list who appreciates fine adornments. 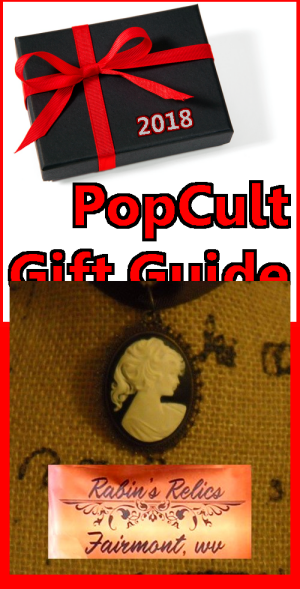 This is some very cool and creative stuff, and Mrs. PopCulteer has several of their pieces in her collection.